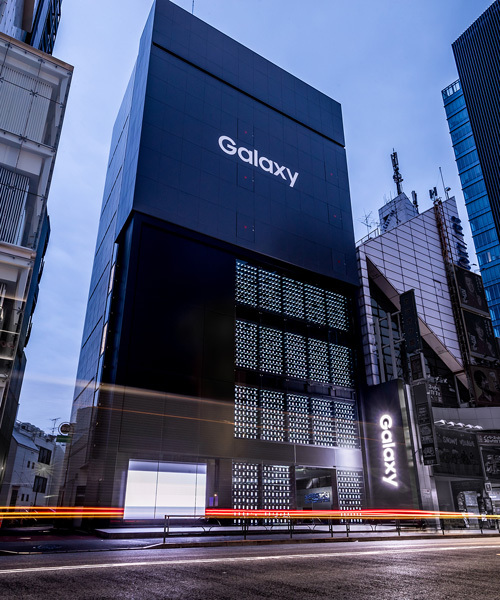 the facade titled 'media surface' illuminates the new vision of the galaxy brand. henrique perticarati imagines there was some sort of 'sliding doors' moment that altered the trajectory of future events, setting microsoft along the path apple would eventually take. embed your phone in the psychedelic world of murakami. a recent patent application contains images of a potential design for the new phone. this could brighten up the motorola brand if lenovo gets it right. the device is a tablet when fully open and a phone that fits neatly into a jacket pocket when closed. royole's flexpai comes a week before samsung is set to debut its foldable handset. developed for sugita ace, 'denqul' is a mobile battery for emergency situations by nendo, that can be charged using one hand. the kit teaches users a little about programming as well as the basics of electronics. the strange looking module features five lenses arranged in a circle with two that house the LED flash and another for the IR focusing apparatus. 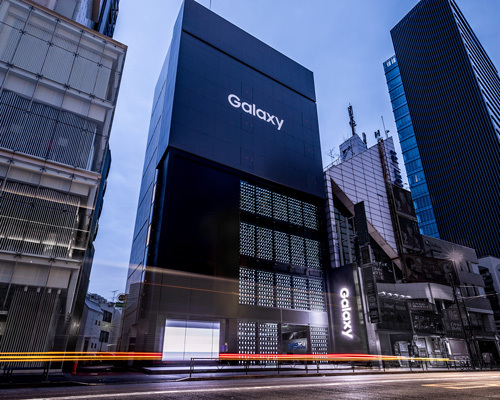 samsung CEO DJ koh has hinted a foldable phone could be unveiled at the brand’s developer conference due to be held in november. 'color' conjures forms that resonate emotionally, subtly turning the contemporary smartphone design paradigm on its head. the hubblephone is a futuristic device with an advanced vision system, boasting multiple screens and the ability to lip-read its users requests. a thin protective case uses sensors to deploy metal springs whilst free falling. french designer pierrick romeuf asks the timeless question – does size really matter? maybe an iphone 12 or 13, depending on what X, Y or Z models apple throws in. featuring the world’s first dual fingerprint design, the smartphone includes an innovative in-screen sensor and leica triple camera. according to some leaked photos, as well as the expected black and blue, some more dazzling looks include twilight and pink-gold gradients. honestly, this phone was hot stuff in 1996.
a new patent hints at the three future possibilities of a samsung double-sided phone, all with interactive display on the back of the device. a new patent filed by apple reveals the possibility of a foldable display which means an apple flip phone or one similar could be imminent. designboom trials a new era of intelligent smartphones with the super-sleek, super-fast and super-performing huawei 'mate 10 pro'. as the most exclusive of all devices across the 'mate 10 series', it combines porsche design’s aesthetic craft with huawei’s mobile engineering expertise. turning fantasy into reality, the samsung '8 leader' smartphone brings back the classic clamshell design but with vast technological additions.